Kinfolk Brass Band brings you the ultimate New Orleans experience, the second-line parade! 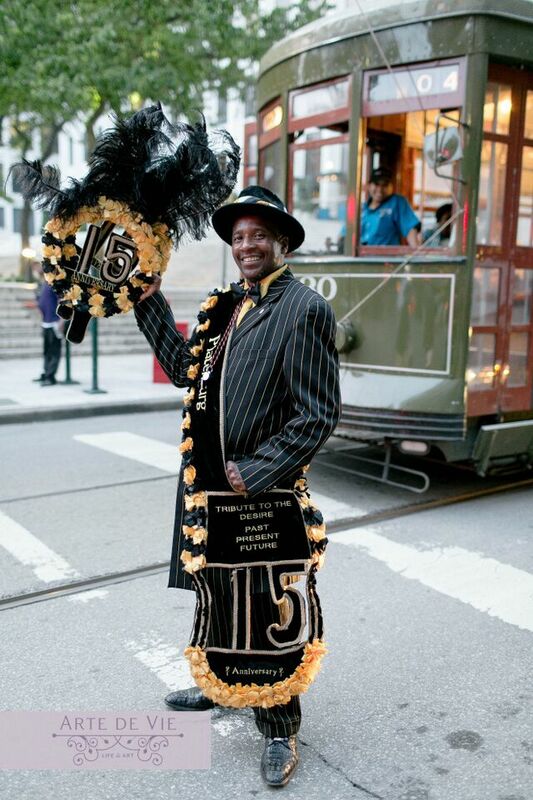 Born on the streets of New Orleans, and steeped in tradition, we second-line for almost any celebration here in the City. Whether you’re planning a small gathering of friends, or a large corporate event, let us create an experience that you and your guests will never forget! We can also add a Grand Marshal, Mardi Gras Indians, and Dancers to your parade for an authentic New Orleans experience. With our full-service parade planning, all you have to do is take it to the street, wave your handkerchief, and “Do Whatcha Wanna!”. Our parade planning package includes planning the route, securing the parade permit and three police escorts, and a coordinator on-site to make sure everything goes off without a hitch. Traditionally in New Orleans culture, the Grand Marshal leads the parade, engaging guests, and dancing a true New Orleans second-line. 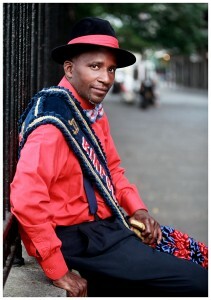 He wears a suit, a Stetson hat, a decorated sash, and dances with feather fans. Endlessly energetic, with all the fancy footwork, our Grand Marshal is not to be missed! 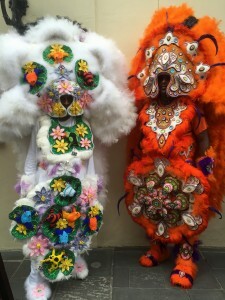 These traditional New Orleans Indians are costumed in elaborate feather, beaded and sequined costumes. Each Indian creates his own costume by hand. They parade through events, with Brass Bands or singing their own songs with drum accompaniment. These larger-than-life works of art are a great accent to any parade. We have several “big head” characters available, including “Satchmo” himself, Louis Armstrong. Super Tall and Super Fun! 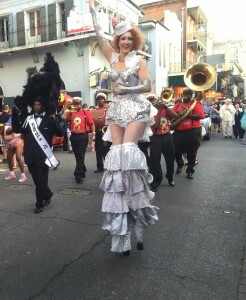 Our Stilt Walkers give your guests a wow that only a 9-foot-tall person can. Our stilt walkers often dance around and often juggle! 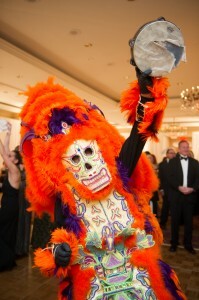 Our Revelers (some folks call them Jesters) really bring the party! 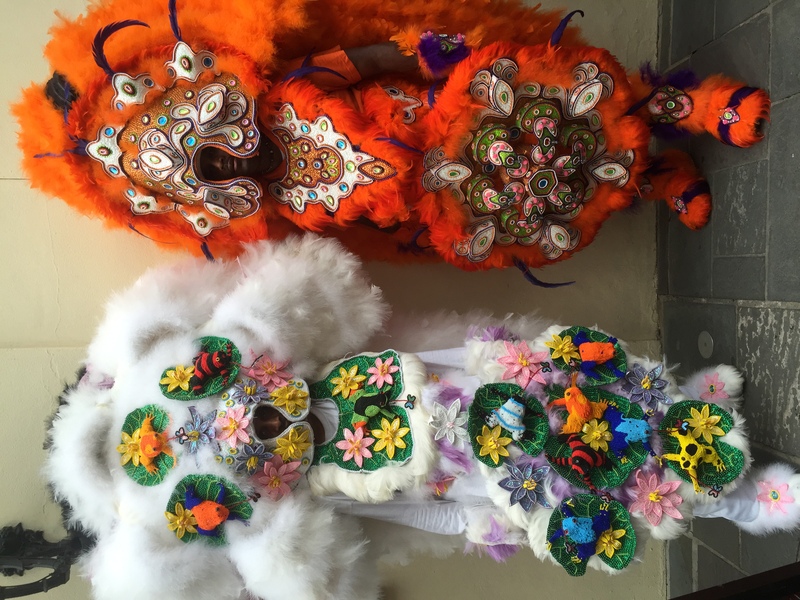 Whether at a Parade, or as a greeter, or just having a good time, their beautiful costumes make you want to kick up the fun!